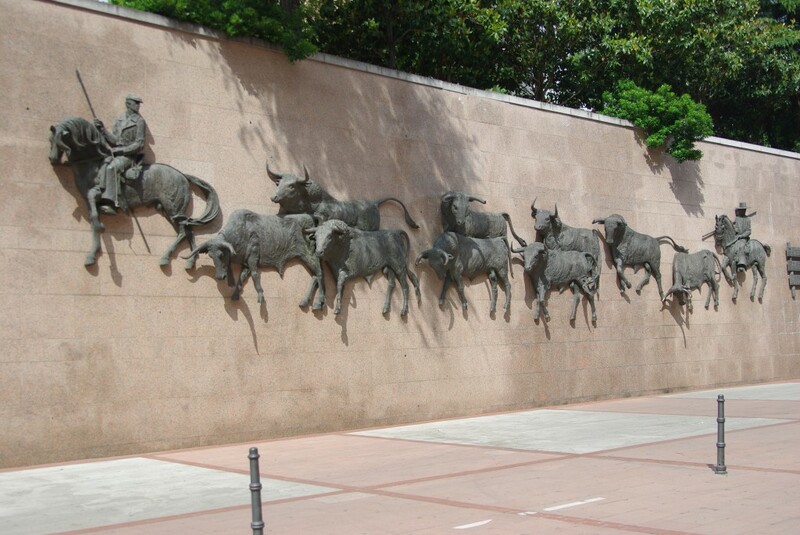 Plaza de Toros de las Ventas, simply known as Las Ventas is one of the most interesting thing to see in Spanish capital. 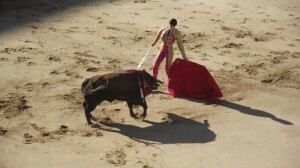 It is a place where you can see the bull fights – an unique Spanish tradition. Its capacity – 23 798 spectators makes it the third arena in the world. It is also considered to be the most important place for bullfighters in Spain. 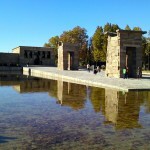 It is situated in the east part of Madrid, close to the metro station „Las Ventas” in the Salamanca district. 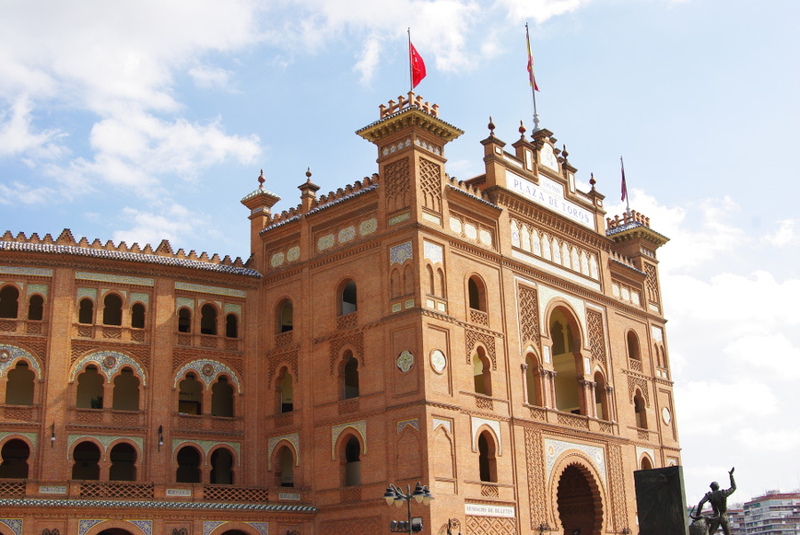 The construction of the building started in march 1922 and was ended in 1929. it was build in the Neo-Mudejar style which consists of ceramic pieces. For the first time the place was opened in 1931, but with the beginning of the Civil War it was closed for three years. The building itself is very beautiful, with a lot of space inside. 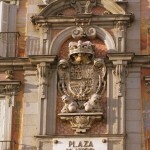 – Plaza Mayor: In this traditional square there is a Felipe II statue rounded of white ancient biuldings. The young people in the city are used to going to this square to eat squid sandwiches. Moreover, some politicians told once about taking a coffee in there… but from our point of view, there are a lot of better -and cheaper- places in Madrid places to do it). – Puerta del Sol: This emblematic place is one of the reference points more used in the city, and many citizens are used to dating with other people from this point. 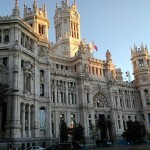 – Gran Via Avenue: The most famous avenue of Madrid. It has a lot of theaters, coffee and ice cream shops. You can arrive there in 3 minutes from Puerta del Sol going on foot. – Parque del Retiro (Retiro Park): The Retiro Park (Parque del Retiro) is a very popular park placed in the center of Madrid. It covers more than one square kilometer and it contains a lake with boats, many monuments, fountains, statues, gardens, restaurants and of course, a lot of trees and grass. If you want to visit Retiro Park, notice that you will need at least 3 hours to see it all. – Plaza de Cibeles (Cibeles Square): Cibeles Square is placed in the center of Madrid, at the cross between Alcalá Avenue, Recoletos and Prado Avenue. 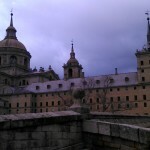 Read also our post about What to see in Madrid in one week.